During pregnancy, our bellies stretch to accommodate our growing babies. And our skin pays the price. It gets dry, tight and itchy. So guess what… As your bump is burgeoning, now is the time to give it a little TLC. A steady belly care regimen won’t just hydrate your skin and potentially help prevent stretch marks. It will also allow you to take some time to yourself before baby arrives. SO go ahead and lather your bump with one of those delicious products. Your belly will thank you! Here are 9 belly care products that all expectant mamas should know about. 1. HATCH Belly Mask, $12. Besides the fact that a belly mask looks way too fun to pass up, this one was made for both pregnant and postpartum mamas. The hydrating sheet mask keeps stretch marks at bay during pregnancy, and then the soothing anti-inflammatory aloe vera helps soften up inflamed scar tissue after birth. 2. STORQ’s x Earth Tu Face Belly Oil, $38. This USA-made oil is perfect for itchy, dry, or tight skin that’s trying its best to keep up with a growing baby! All ingredients are organic, and the rose citrus scent will uplift your senses. 3. Belli Skincare Maternity ‘Elasticity’ Belly Oil, $34. This oil blends vitamin E, lavender, sweet almond oil and Gotu Kola -- all great to increase collagen production and elasticity, which of course, you need both of during pregnancy. The oil’s extra hydrating properties will be soothing and will help your belly to stretch without damaging the skin. 4. 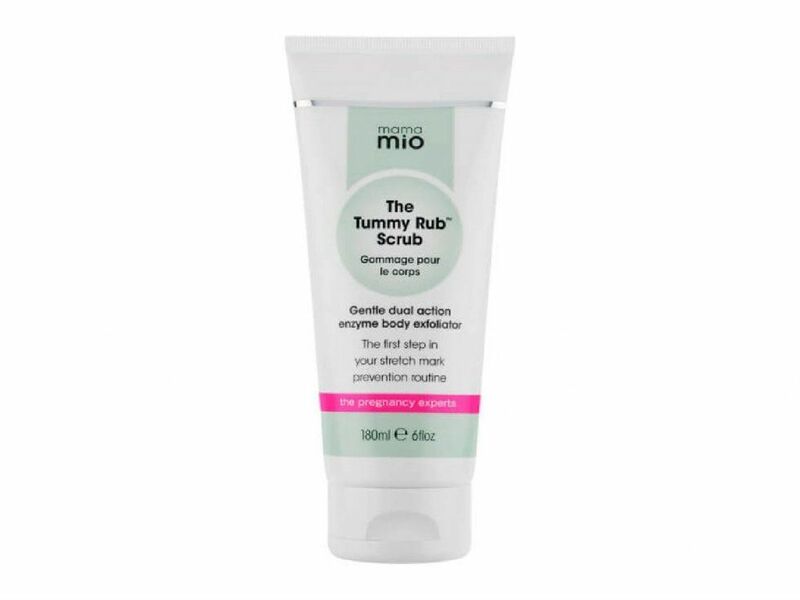 Mamma Mio The Tummy Rub Scrub, $18.40. Mamas-to-be, here’s your best pal for stretch mark prevention. This exfoliating scrub primes the skin for moisturization by helping the product penetrate more deeply. Combining natural pumice, volcanic lava and bamboo extract (one of the richest sources of collagen-boosting silica), this scrub will help brighten your already-glowing pregnancy skin! 5. Amareta Grow Together Nourishing Belly Oil, $36. 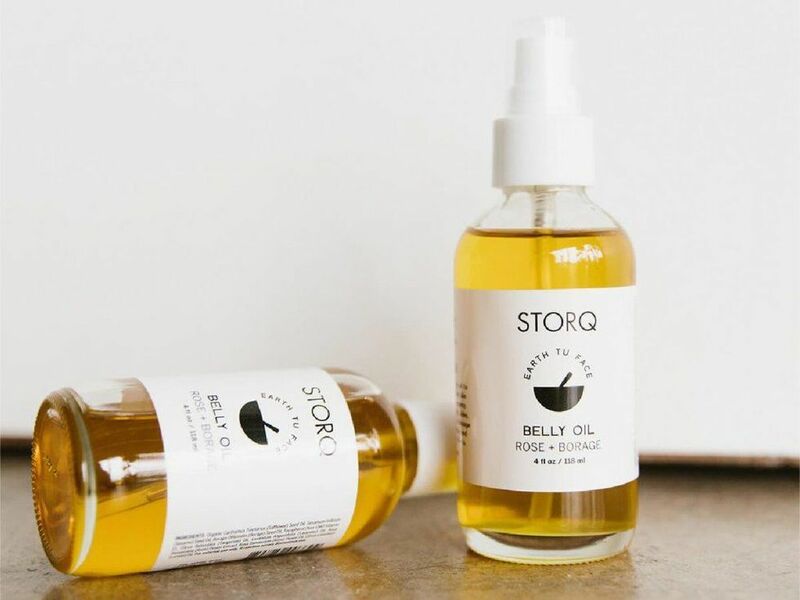 This all-natural belly oil is a skin-loving multi-tasker that helps comfort skin, prevent stretch marks, and support elasticity. Jojoba oil, which is both antibacterial and an antioxidant, acts as a protective seal to keep your skin from losing moisture. Last but not least, natural vitamin E and the aroma of sweet orange oil will help keep you calm and uplifted. 6. Skins and Senses Fearless Stretch mark Body Butter, $44. This belly and breast all natural butter is the real deal. Without water or fillers, it won’t take much of this thick and creamy moisturizer to do the trick. Ingredients like coconut oil, mango butter and vitamin E help to prepare the skin for stretching. Aside from preventing and healing stretchmarks before and after pregnancy, the butter has also been known to help with eczema, psoriasis keratosis pilaris and PUPPS rash! 7. 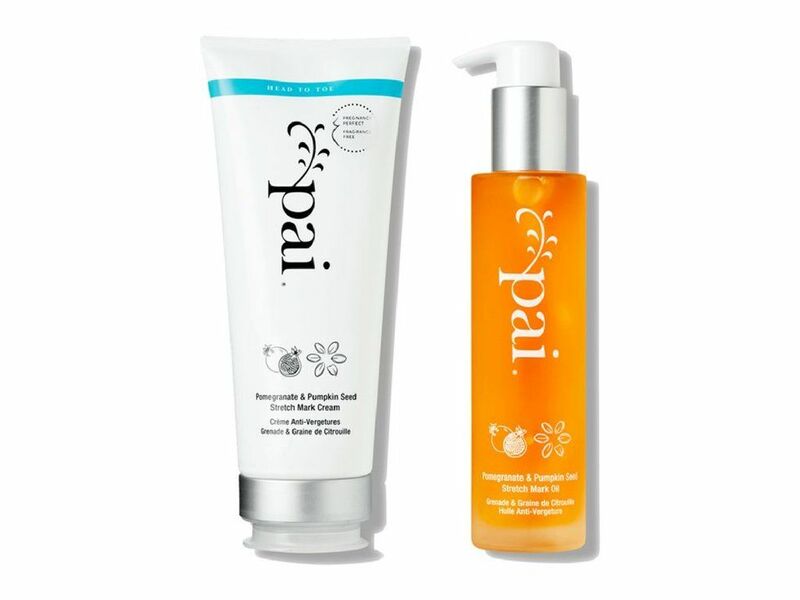 Pai Pomegranate & Pumpkin Seed Stretch Mark System, $86. This anti-stretch mark system is made of quite the dynamic duo: pomegranate and pumpkin seed oil. With its powerful antioxidant properties, pomegranate acts as a bodyguard for your skin cells. Pumpkin oil has essential fatty acids that will help prevent damages while stimulating the skin. Put on the hydrating cream first, followed by the conditioning oil. This will promote elasticity and give growing belly all the suppleness it can get! 8. 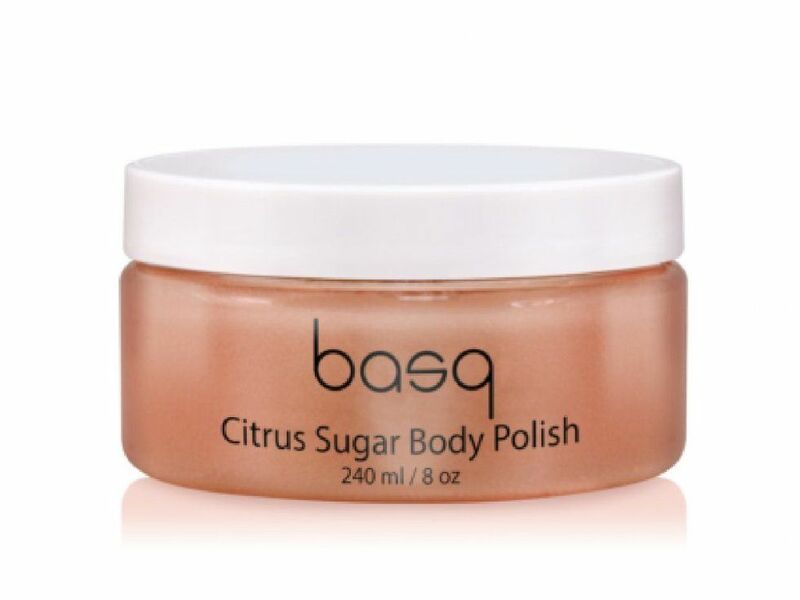 Basq Citrus Sugar Skin Perfecting Scrub, $36. Dry skin can block your underlying skin from absorbing moisture, which isn’t what you want during pregnancy. That’s why you may want to consider this exfoliating sugar scrub -- Sugar exfoliation, followed up with shea butter and essential oils, is your first step towards skin renewal. Perhaps the best part, though, is the energizing scent of orange blossom! 9. Marama Naturals Baby & Belly Oil, $19.99. Here’s the ultimate plant-based, all-purpose oil for all of you eco-conscious mamas. Use it for pregnancy or labor massage, and from scalp to toes on you and baby! This completely baby-safe, fragnance-free oil is the perfect way to kill two birds with one stone. 10. Good old fashioned relaxation. Once you’re done rubbing all that delicious belly butter in, take a deep breath and try to relax. Stress can do a number on your belly skin, too. When cortisol (stress hormone) is released, it’s then converted to cortisone, which hinders elastic fibers in the skin. So go for a walk, do some yoga, take a bath, bake some cookies, cuddle up on the couch, or do whatever it is that puts your heart at ease. You deserve it, mama!